← Third Time Lucky For FC United? 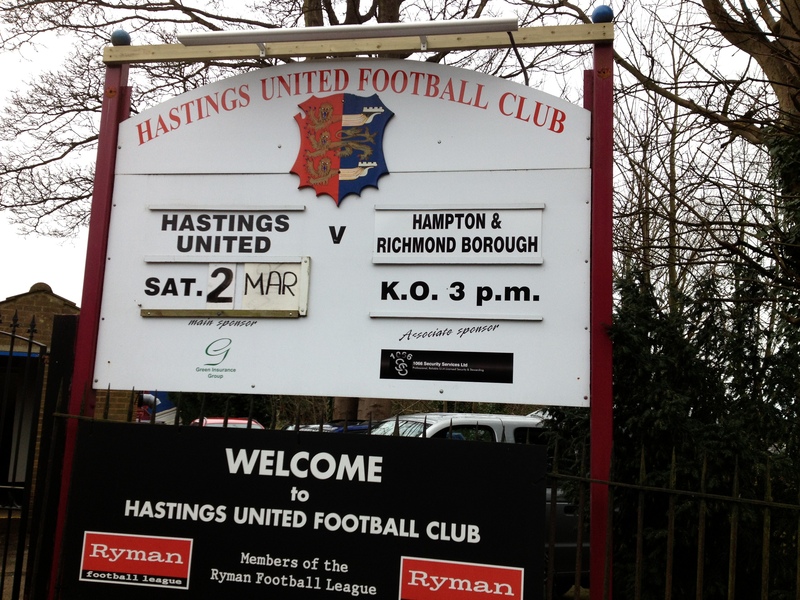 Hampton & Richmond Borough left Pilot Field feeling as though they dropped two points in this goalless draw with Hastings. The home side, though, had some good chances to take the points themselves. This was my first trip to The Pilot Field, and I have to say I really like the place. As you drive down the steep hill that is Elphinstone Road towards the ground, you can just about see the sea on the horizon. Upon entering the ground, you are greeted by friendly people all over the place; the turnstiles, the golden goal and programme sellers, the club shop and the tea bar. They are a credit to their club. The pitch, while in excellent condition for the time of year, seems to be somewhat open to the elements, so I’m quite surprised that there haven’t been more postponements. On the pitch, and Hampton were much the better side for most of this game, and should have been a couple of goals clear before half time. 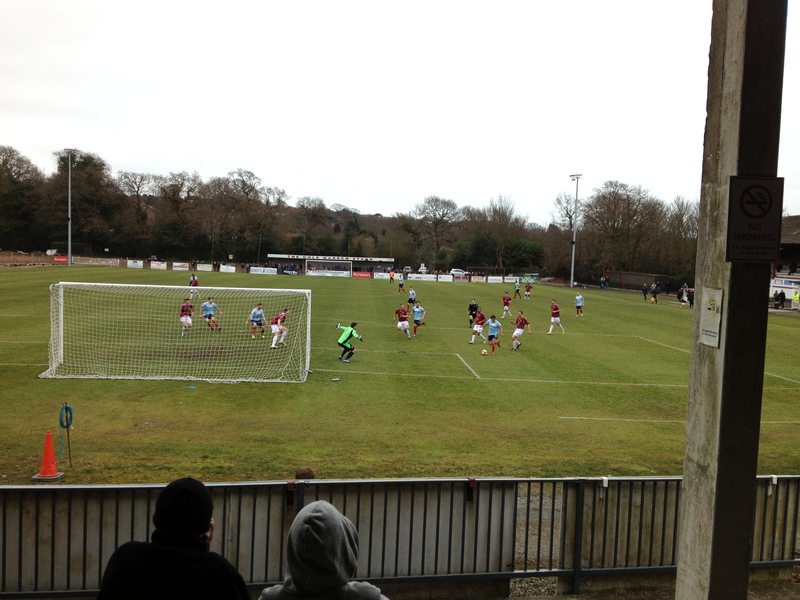 James Simmonds was the first to have a clear cut chance when he drove into the box from the left, but he could only fire straight at Hastings keeper Daniel East from a narrow angle. Gary Holloway then drove a great shot towards the top corner after Charlie Moone teed him up, but again East was equal to it. At the other end, it was a case of half chances for United; Elvis Hammond, on loan from Woking, fired well off target from the left, and a free kick twenty five yards was blasted well over by Bailo Camara. Prior to the match, I was not only dismayed to see Hammond in the lineup for the opposition, but also to see the name of Dee Okojie. The speedy winger was superb for Hastings in their epic FA Cup second round replay with Harrogate Town, when he scored the decisive penalty in the shootout. He was involved in most of the home side’s attacks, and set up Sam Adams, but the midfielder shot straight at Borough keeper Rodney Chiweshe. The second half was a little more even, and in fact it was Rodney Chiweshe who was the hero on more than one occasion. Two minutes into the half, he saved a header from Ben Judge, but again Hampton pushed forward looking for the opening goal. Moone fired high and wide after a great move. Turner played the ball in to Simmonds, and his pull back was dummied by Gary Holloway, allowing the ball to run to Moone. Unfortunately, his shot was off target. 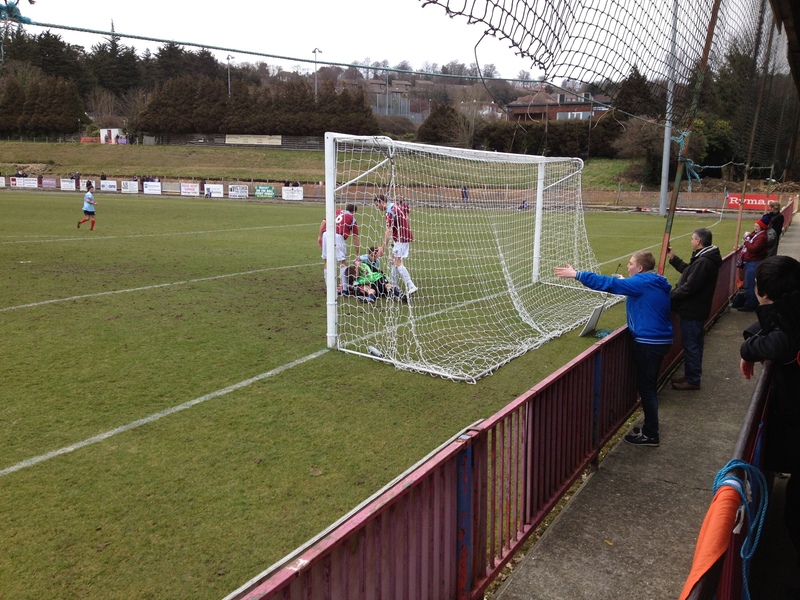 Ryan Moss then had a glorious chance on 62 minutes, getting onto a delightful through ball by Holloway. He got to the ball just before East, but under heavy pressure, he could only stab the ball wide. Next up for Hampton is a tough home match with eighth placed Met Police at Beveree Stadium on Tuesday, March 5th. 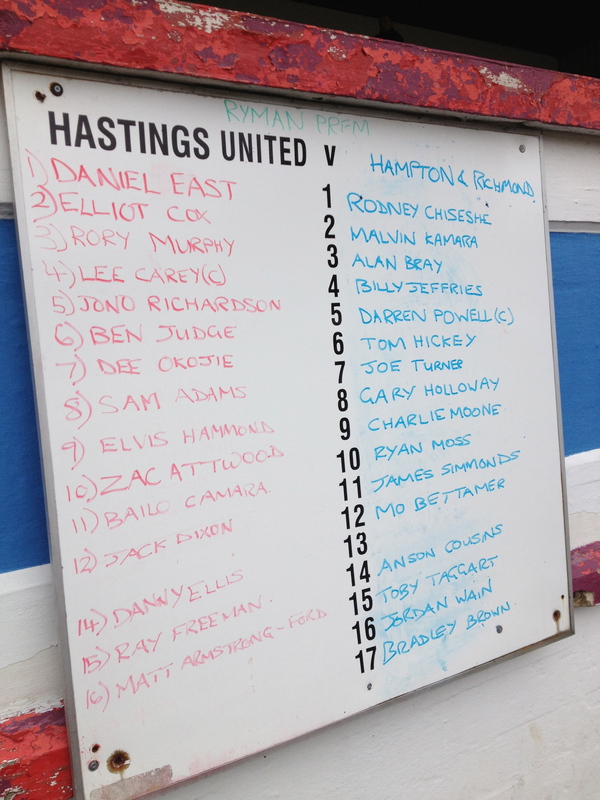 Posted on March 3, 2013, in UTL Archive and tagged Charlie Moone, Daniel East, Hampton & Richmond Borough, Hastings United, Isthmian League, Rodney Chiweshe, Ryman Premier. Bookmark the permalink. Leave a comment.